Happy Easter from Baxter & Main! 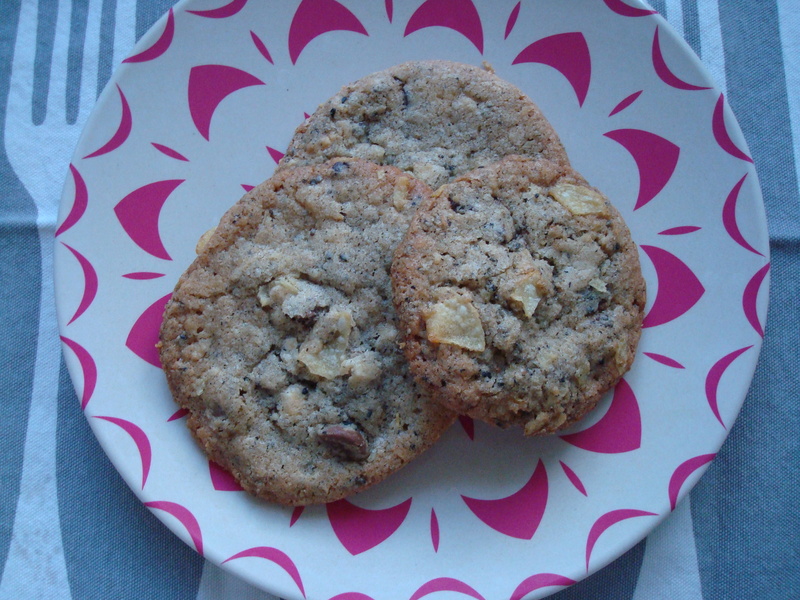 The ingredients are few and there is not much sugar in the cookie itself (the frosting is another story…) but they are soft and light and they have a hint of nutmeg in them which is a nice touch. In short, they are delightful. 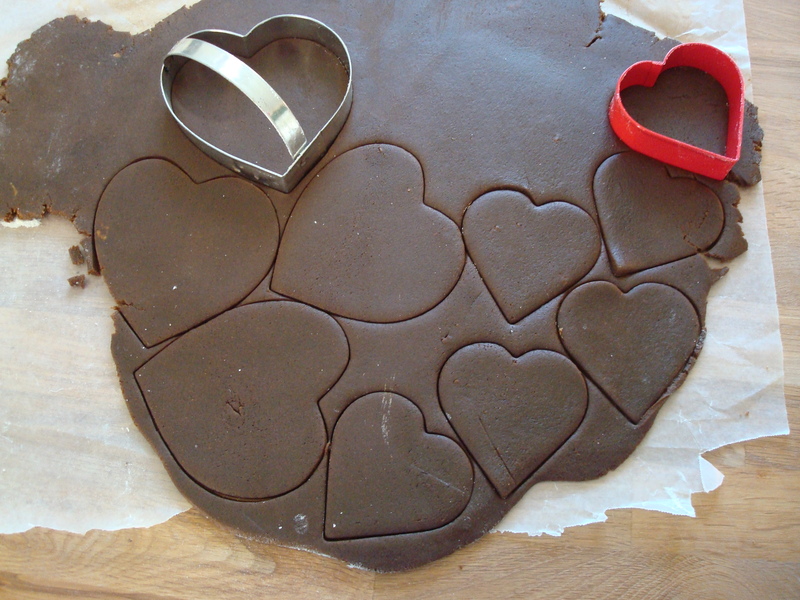 And better yet they can be easily rolled out and cut into all sorts of fun shapes! 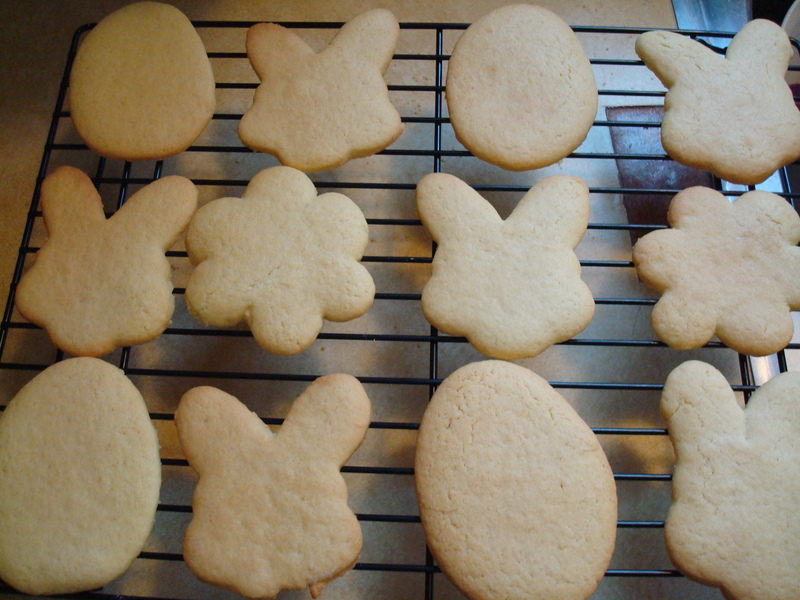 I accidentally bought Easter-shaped “pancake molds” thinking they would be the same as cookie cutters but they are made of silicone and flimsy so some of my bunnies came out crooked and had wonky ears but they tasted just great and that is all that matters. Happy Easter! Cream butter and sugar in stand mixer fitted with paddle attachment or handheld mixer; add eggs & vanilla. Sift together dry ingredients and add to mix. Roll dough out, cut into shapes and bake at 425 degree oven for 7 minutes. Mix all ingredients in stand mixer fitted with paddle attachment or use handheld mixer on low until combined. Stir in food coloring if desired. 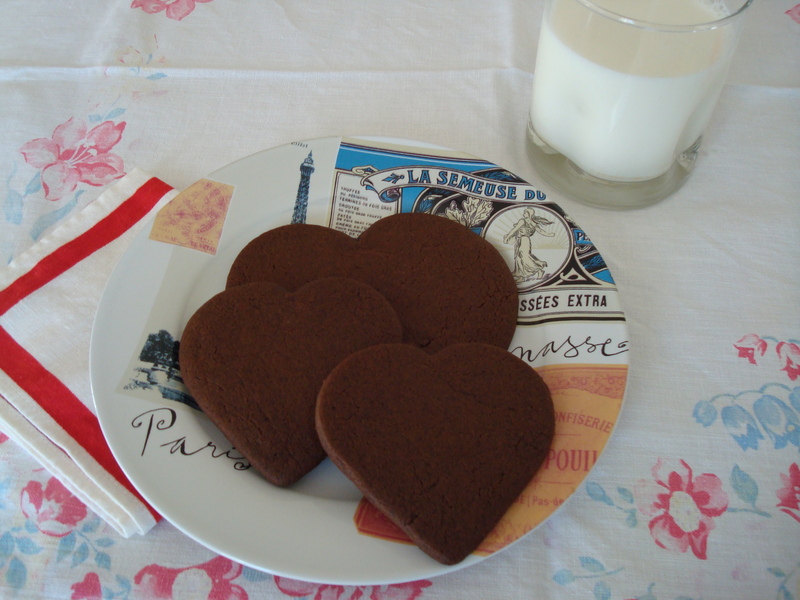 I made heart-shaped gingersnaps for you! 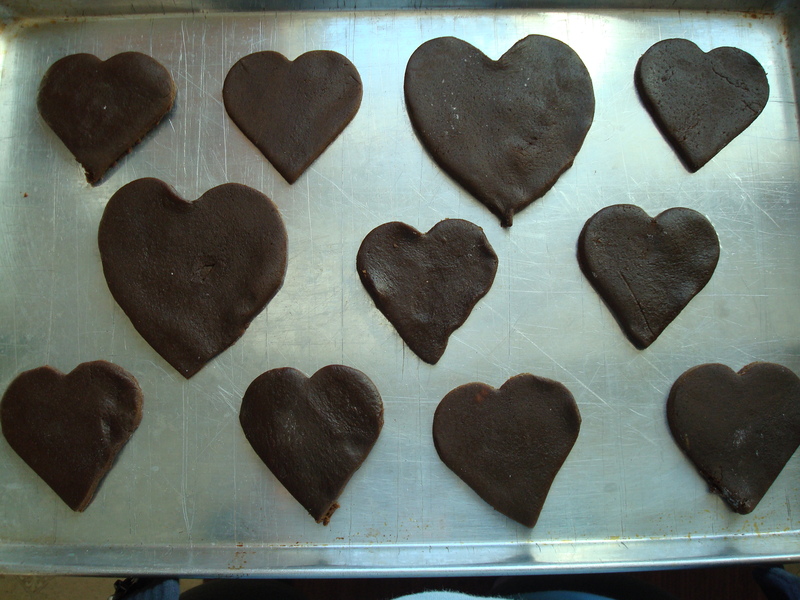 Heart-shaped! Isn’t that precious? 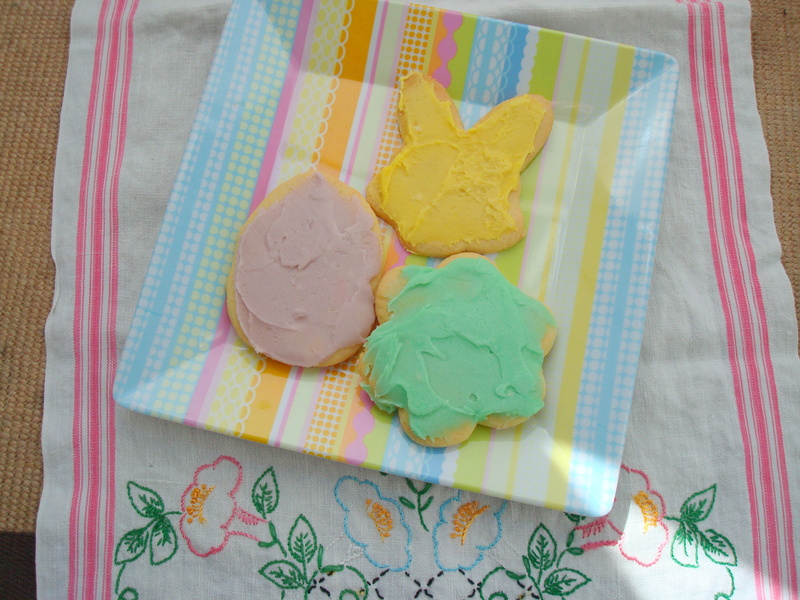 Even if you’re not so much a fan of this holiday I feel fairly certain you will be a fan of these cookies. They are chewy and they kind of stick to the roof of your mouth a little bit, but in a good way. A nice antidote to all of the overly sugary treats that seem to be ever-present on this holiday. Enjoy! 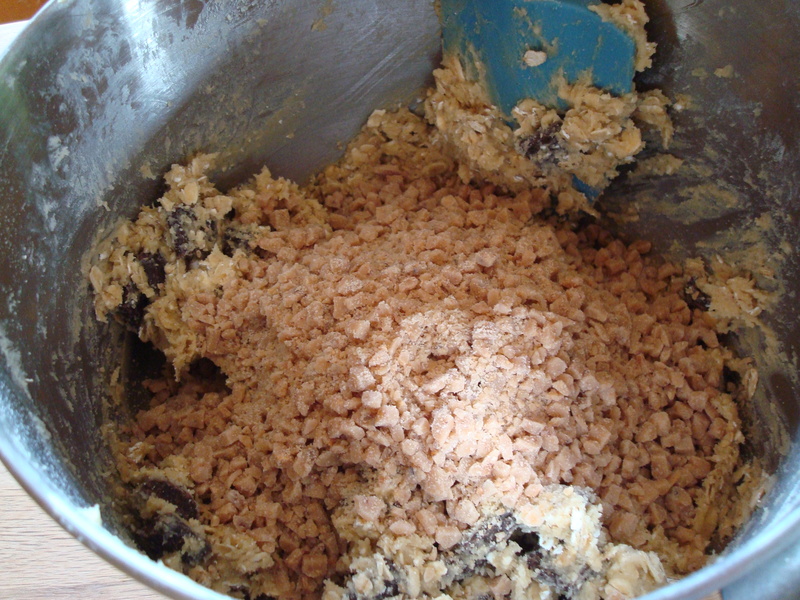 Use an electric mixer to cream the butter, sugar, and molasses until smooth. Mix the baking soda with 2 tablespoons hot water and beat into this mixture. 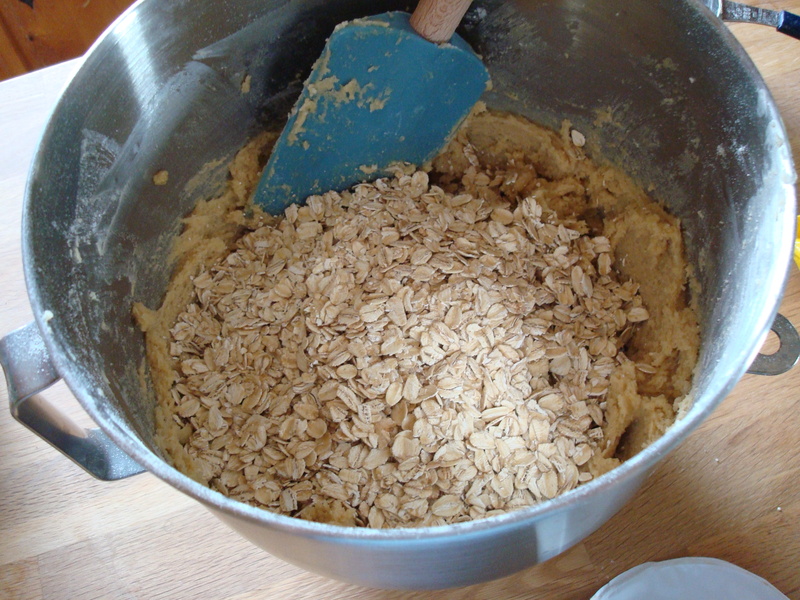 Mix together the flour, spices, and salt in a bowl; stir them into the butter mixture and beat well. Shape into 2 long rolls, wrap in waxed paper, and refrigerate several hours or overnight. Preheat the oven to 350 degrees. 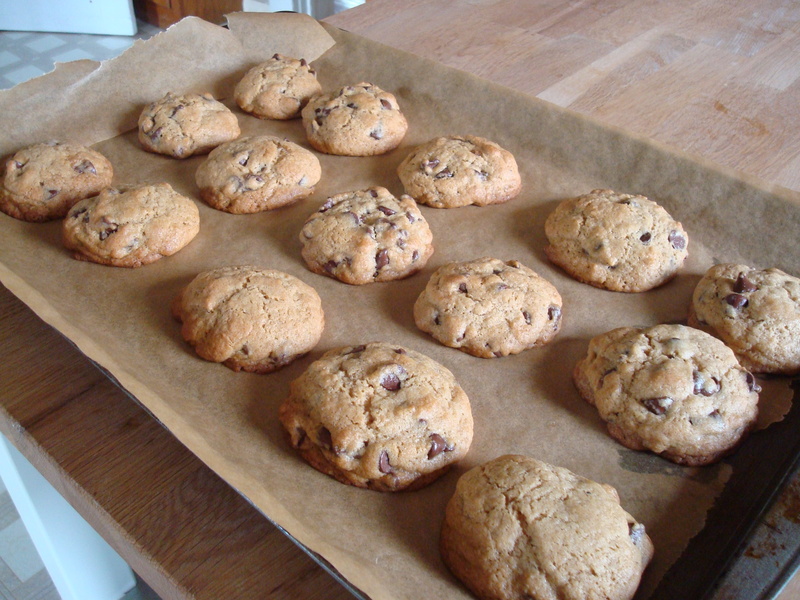 Slice the cookies as thinly as you can, place ungreased baking sheets, and bake about 10 minutes, watching carefully to prevent burning. Remove from sheet when still warm and cool on a rack. Store in a covered container at room temperature for several days. 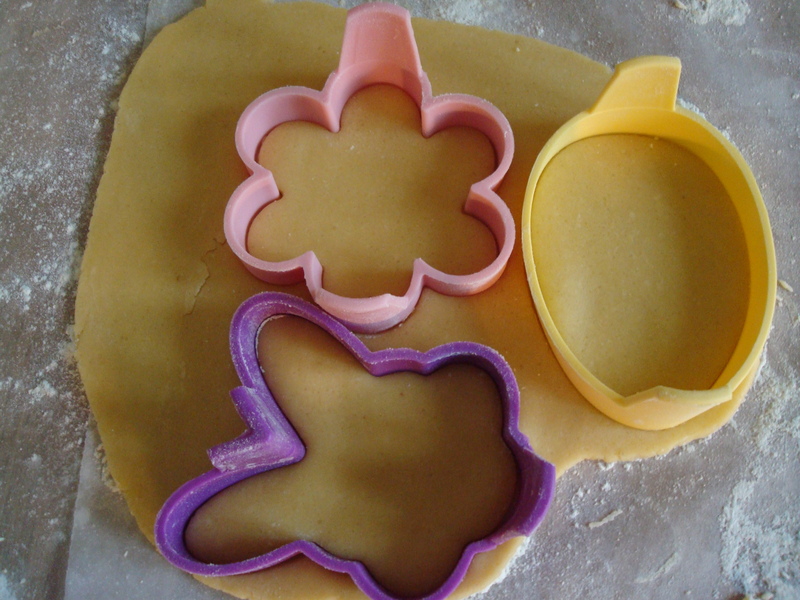 If you wish to roll out the dough and use cookie cutters as I have here, take dough out of refrigerator 15 minutes before beginning to work. 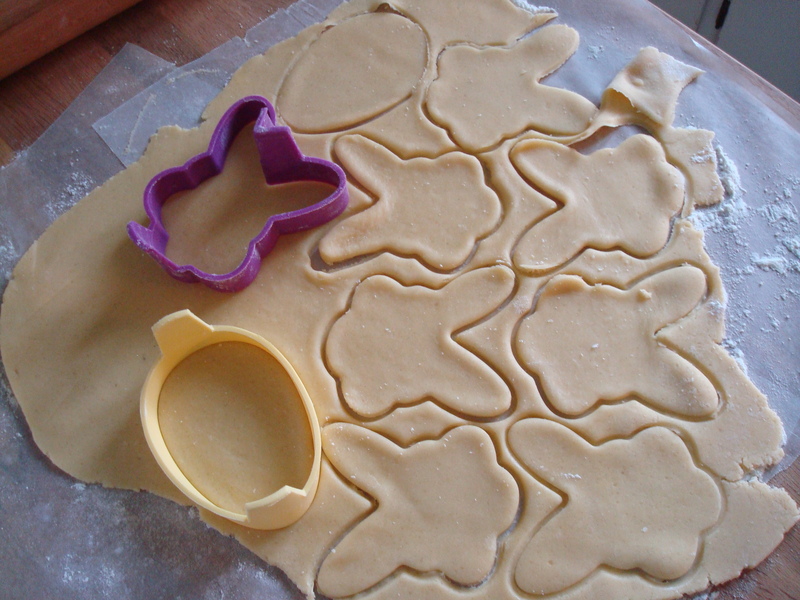 Roll out thinly on wax paper using a rolling pin and cut shapes with desired cookie cutters. 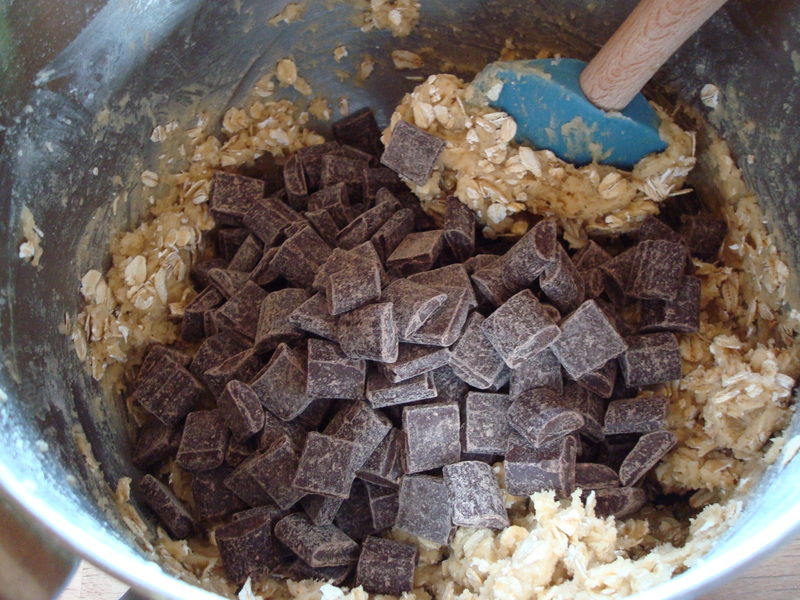 I’m a big fan of cookies that have the kitchen sink in them– you know, chocolate chips, marshmallows, peanut butter, pretzels, cornflakes– the more the merrier. 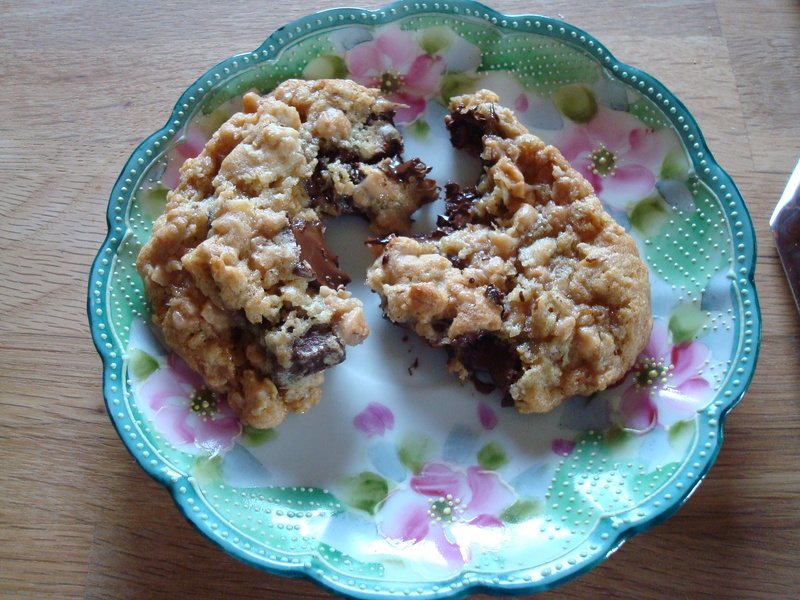 One of my favorite cookies from a bakery in New York even has potato chips in it. Craziness. 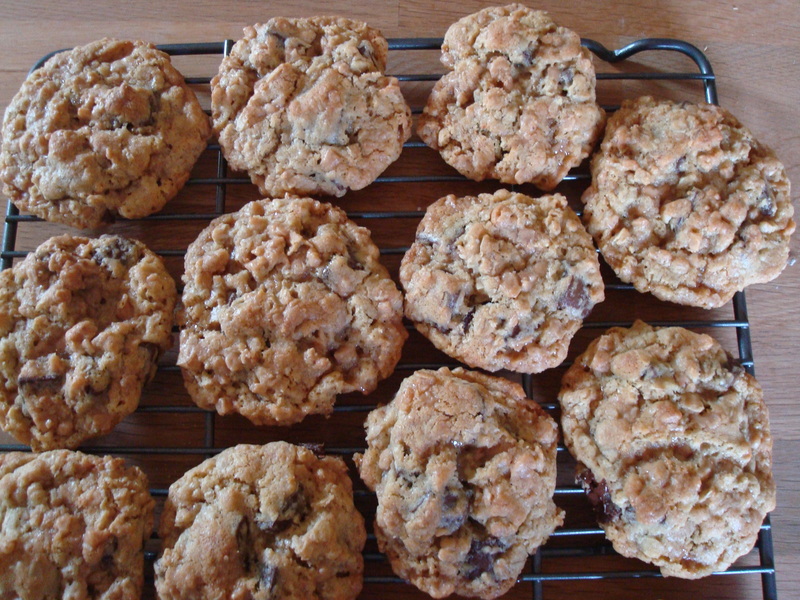 So over the weekend when I was looking through cookbooks and found a recipe for Cowboy Cookies I felt like I hit the jackpot. Better yet I found it in a cookbook that my aunt put together of my grandma’s recipes and there’s a funny photo of my grandma looking very uncomfortable on a horse next to the recipe. So that settled it. 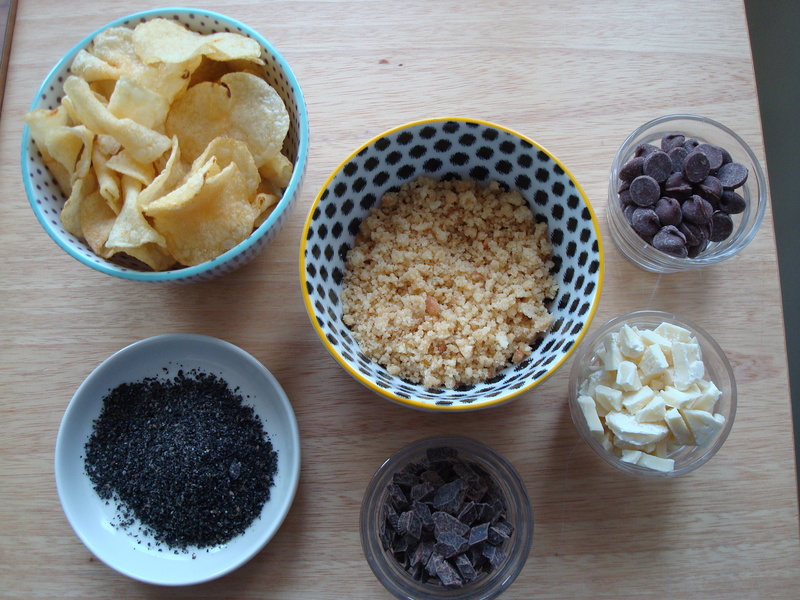 These are the mix-ins I chose, but this is a recipe you can get creative with. 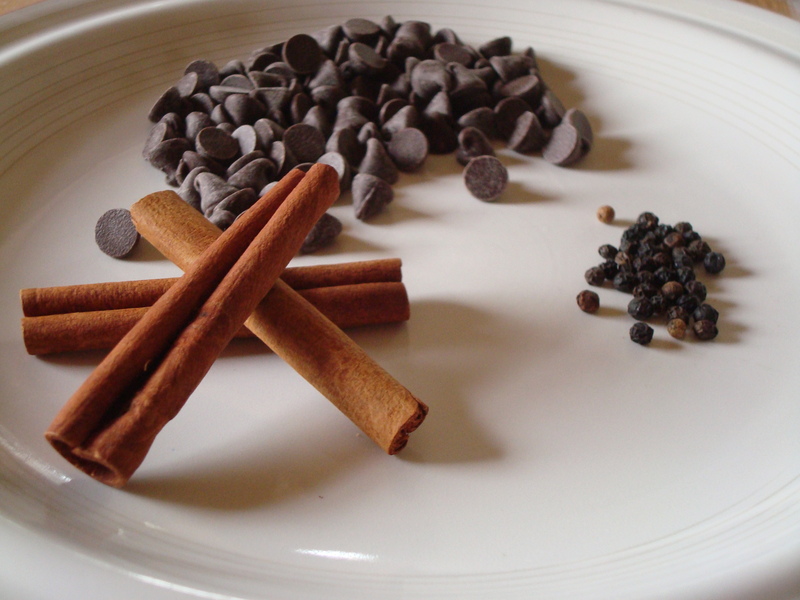 Next time I think I’m going to add crushed pretzels, dark chocolate chips, and candied bacon. Oh yes, I said bacon. 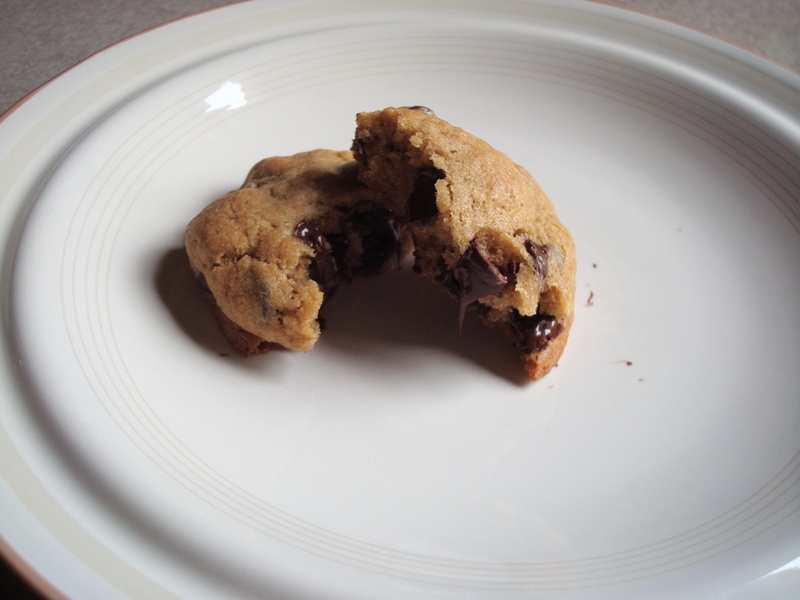 In honor of my grandma I’ve decided to re-name this cookie the Cowgirl Cookie. Giddyup. 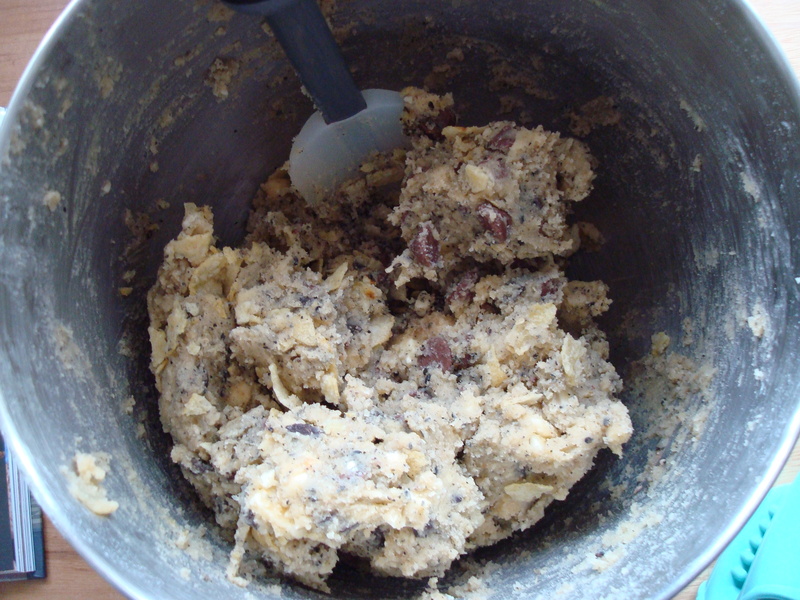 Cream butter and sugars in mixer fitted with paddle attachment. Add eggs and beat until incorporated. Scrape down sides of bowl and add vanilla. Beat for 5 seconds. 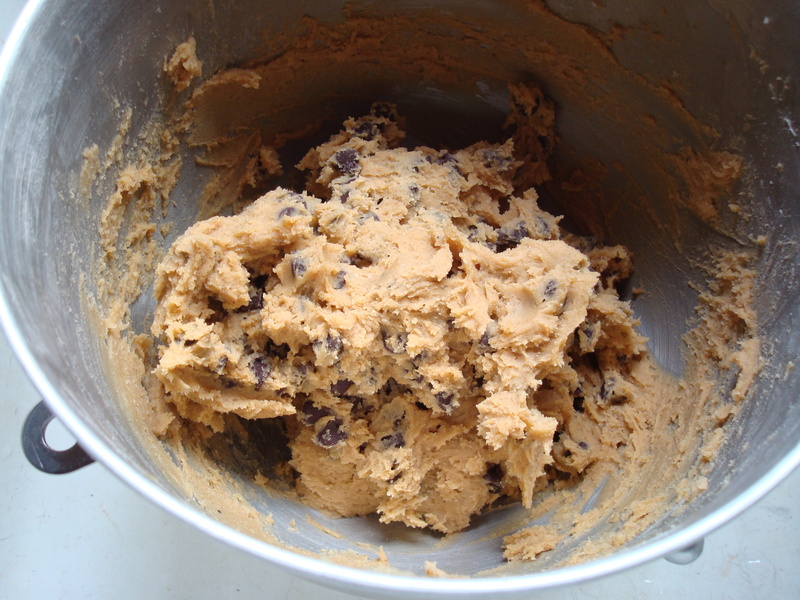 Add flour, baking soda, salt, and baking powder and beat until incorporated. 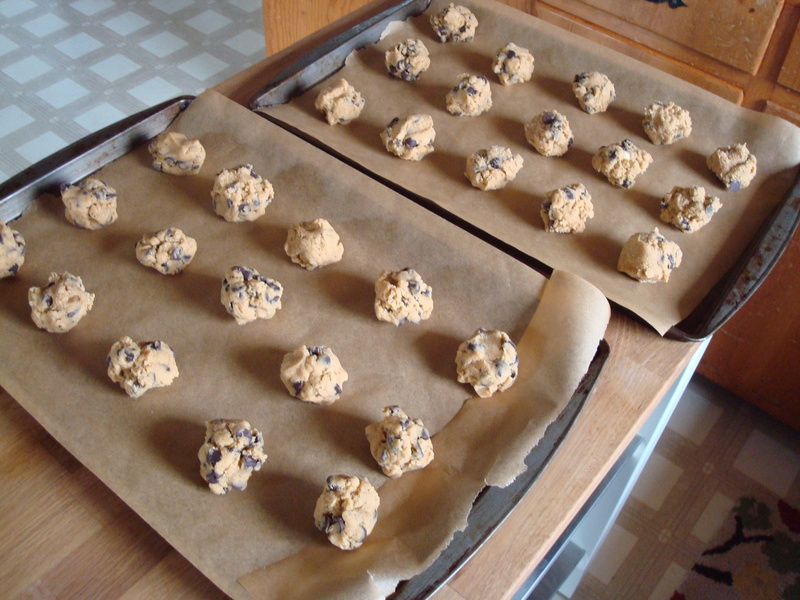 Put spoonfuls of dough on parchment paper-lined sheets. Bake for 11 to 13 minutes. Cool on wire rack.